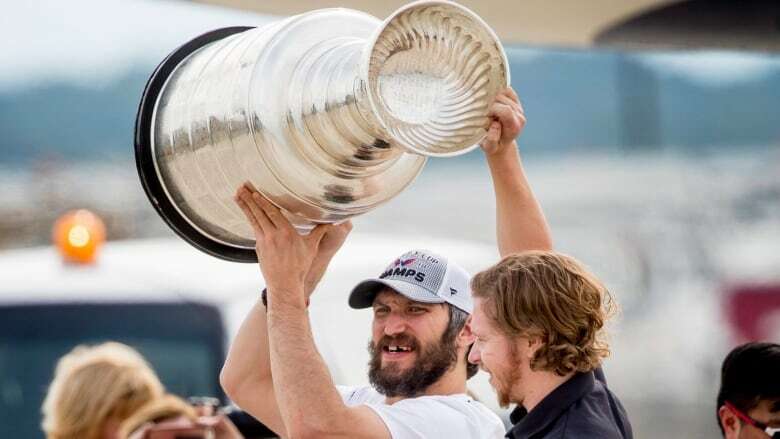 The Stanley Cup-champion Capitals are set to give the city its first parade for a major pro sports team since the NFL's Redskins in 1992. The parade is 26 years in the making for Washington sports fans who endured long, lean years of heartbreak. Nicklas Backstrom dreamed about the road less travelled. Driving down Constitution Avenue on his way to each home game since his NHL debut in 2007, he imagined the street lined with overjoyed Washington Capitals fans. "It always popped up in my head that one time we're going to have a parade here, and finally that day is here," Backstrom said. It all becomes reality Tuesday when Backstrom and the Stanley Cup-champion Capitals give the city its first parade for a major pro sports team since the NFL's Redskins in 1992. The parade is 26 years in the making for Washington sports fans who endured long, lean years of heartbreak. "I don't think anyone doubted what this city would do," longtime Nationals infielder Ryan Zimmerman said. "It's just a matter of getting there and having the ability to do it. They definitely held up their end of the bargain." Tens of thousands gathered for viewing parties of road playoff games on the way to the Capitals' first championship since beginning play in 1974. They camped out on the streets to watch on giant video screens — the kinds of scenes more germane to presidential inaugurations in this town than sporting events. "I thought it was really cool when we were even at home and everyone was outside and going nuts and they would show that right after we would score a goal," defenceman John Carlson said. "I think that was probably one of the coolest moments of the playoffs for me and just seeing the support. ... I think we deserve it, and so do the fans." It has been a long time coming. Since the Redskins won the Super Bowl in January 1992, the 1998 Capitals were the only Washington team in the NHL, NBA, NFL or Major League Baseball to reach a league semifinal until this spring, a drought of 74 combined seasons without a championship. When the Capitals took the Cup into the Nationals' clubhouse on Saturday, coach Barry Trotz wanted players to know: "There's no curse or anything. It's all gone." All they had to do to know that was look around the past two months to see the doubt being chipped away. Nationals manager Davey Martinez, who texted with Trotz throughout the run, got his first real taste of Washington sports in the playoffs with the Chicago Cubs last year when he came out of the dugout seeing 50,000 fans in red and couldn't hear himself think because it was so loud. Washington isn't a city accustomed to being all-in because of the scars of so many playoff failures over the years. Longtime Capitals season-ticket holder Jimmy Patterson said fans became reluctant to get together to watch games because the mood at the end of the night wasn't something anyone wanted to endure in a group setting. That's part of what made the public gatherings for Game 7 of the Eastern Conference final and throughout the Stanley Cup Final so remarkable. Exorcising franchise-long demons by beating the Pittsburgh Penguins in the second round seemed to free fans to actually enjoy themselves. "It showed what they were capable of and shows if you get to that level, they're going to match it or even step it up a little bit more than the actual players," Zimmerman said. 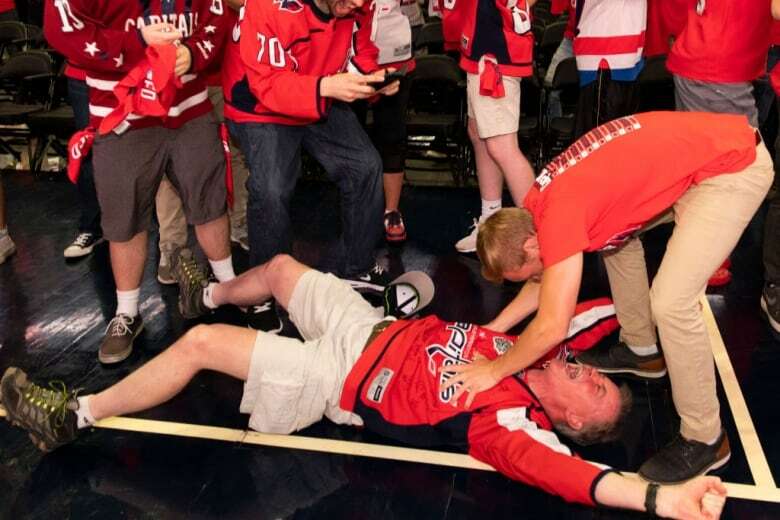 Fans celebrating the Capitals beating the Penguins led ESPN's Michael Wilbon — a former Washington Post columnist — to call D.C. a "minor league sports town." It's not the first knock on Washington, though 14 years of playing baseball in the city has given Zimmerman some clarity on explaining that it's not Boston, Chicago, New York or Philadelphia, and he doesn't think it has to be. "This is such an interesting city because not many people are from here, so it's hard to be a Boston or a Chicago," Zimmerman said. "That's a generational sports town. So it's nothing against [Washington]. They shouldn't be like that. They have no reason to be like that. "A lot of these people move here for work in their early to mid-20s or come here even later than that and they adopt a team. This is what happens nowadays: Everyone compares everything. Just let it be. Let it be what it is. We have great fans and obviously if you make the playoffs and get to a Stanley Cup finals, you have really great fans just like any city would." Thousands of fans are expected to watch the parade, from 17th to 7th on Constitution. Trotz has been thinking about something like this since he arrived in 2014. "You start thinking about, 'Well, what would it mean?' and then you think about a possible parade on one of the most famous streets in all the world, really, and it's sort of now coming into play," Trotz said. "It's going to come true."